Love this article by Aviva Romm in Pathways Magazine. She hits on many points that are so true about labor, but can also be linked to our everyday life. When I was pregnant, I seemed to be a magnet for birth war stories—cords around the neck, emergency cesareans, and more. It took a lot of inner conviction to believe in birth as a natural, beautiful event that my body was capable of, rather than a “disaster waiting to happen,” as one obstetrician warned me it was. But inner conviction I decided to have, and my four children were born at home, peacefully, without drama or trauma. I made sure I was in awesome health throughout my pregnancies, eating an organic, plant-based diet. I did yoga daily, spent time in nature, and meditated on the type of birth I wanted to have. And then I surrendered to the forces of nature. The power I experienced as a woman has given me confidence in so many areas of my life, and I so wish this for other women. Sadly, however, natural birth is becoming endangered. About one in three women in the United States will have their babies by cesarean section. Maybe that sounds like no big deal—but actually, cesareans are major abdominal surgery that increases your risk of complications over natural birth. Cesareans are grossly overdone in U.S. hospitals. And they often make recovery and breastfeeding much more challenging. They expose your baby to an antibiotic (all moms having a cesarean are given antibiotics at the time of surgery) before she or he is even born. And most of the ones that are performed turn out to be unnecessary. Also, many more women will have their labor induced or experience some form of obstetric intervention. The downturn in natural birth is so significant that a group of researchers wanting to study the natural course of labor couldn’t find a large enough group of women birthing naturally in any one place to study them! But we can’t let natural birth go extinct, because it’s way more than just a romantic ideal. Babies born vaginally (and without medication) have many health advantages. For example, just being exposed to mom’s flora on the way out of the birth canal decreases the lifetime likelihood of developing digestive problems, allergies, and even obesity. While we can’t fully control what happens in our births, and of course, sometimes interventions are necessary (though often they aren’t! ), you can embrace core beliefs that will increase your chances of having the birth experience that is healthiest for you and baby. Here are the 10 most important philosophies that helped me have my babies naturally, which I’ve used to support thousands of women in their birthing experiences. My hope is that these can help you have an optimal birthing experience…maybe even the birth of your dreams! Though a spiritual journey, birth is not all incense and candles. It asks us to call upon our primal instincts and sometimes even to get primal—making animal sounds, assuming poses that have us buck naked on our hands and knees, moving our hips in deep sultry belly-dancing undulations. Planning to take a deep dive into your subconscious and intuition to let your primal self emerge can allow you to open and birth your baby with a raw strength and power you might not even realize lives within you. 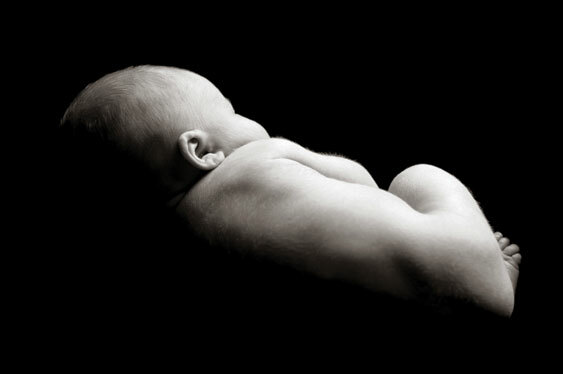 1 Birth is a spiritual journey; it’s also primal. Birth is, to say the least, a physically and emotionally demanding experience. Approaching the challenge as a spiritual journey can help you dig deep into your core for the resources to persevere, and to learn about yourself and your innate strength and power. 2 Birth should not be taken lying down. Lying down simply doesn’t let gravity do the work of helping your baby come down and out! Walking, moving your hips like a belly dancer, and generally staying active facilitates a more physiologic process for your baby than lying on your back in a hospital bed, which increases your chances of a cesarean. 3 Contractions are amazing sensations that get your baby born. During my own births, I used my imagination and awareness to dive deep into the sensation of my muscles working to help my baby get born. This focused aware- ness transformed my perception of the pain of birth into the power of birth. I even used the term “expansions,” rather than “contractions,” to help me think about the sensation in a new way. It did not make the experience less intense, but it made the sensation my ally rather than my enemy. As I welcomed each new wave of labor, I knew I was closer to bringing my baby into my arms. example, mama giraffes on the tundra will spontaneously stop labor if they sense a predator in the area, rather than dropping a helpless newborn to the ground. We too, have hormones that can stimulate labor (oxytocin) and those can stop labor if pumped out early because of fear (adrenaline). So learning to transform fear into power and confi- dence is essential for a smooth birth. How is this done? Make sure you feel safe where you are birthing, that you have good support in labor, and that you have talked with your birth provider about any fears you are harbor- ing or repressing about your health and safety, your baby’s health and safety, or the birthing process. Being educated and informed can help you to dispel fears. or at all. As girls and young women, many of us learn not to question authority—we’re encouraged to just be a “good girl,” and not be the geek who asks questions. Many of the procedures done in hospitals are done “just because”—they are routine, but often not necessary. So if something is recommended or expected that makes you uncomfortable or you’re not sure of the reason, ask! And if you’re not comfortable with the explanation, you can decline. Having an advocate there who can help you sort through decisions, especially when you are otherwise occupied doing the work of labor, is especially valuable. 6 Women should eat and drink during labor. Current scientific evidence has demonstrated that women who eat and drink in labor are not at significantly increased risk of food aspiration in the event of a cesarean, which has been the much-feared reason for keeping women on an ice-chips and fruit-pops-only regimen in labor for the past few decades. In fact, keeping up your energy with light and nourishing fare has been found, by many midwives and mamas, to facilitate labor and reduce the likelihood of labor petering out, or needing Pitocin or a cesarean. 7 Your body is a marvelous, perfectly crafted force of nature. Believing in yourself is powerful medicine! Yet most of us go into labor believing our bodies might be lemons—the reject in the batch that just doesn’t work properly and needs to be sent back to the factory on a recall. The reality is, nature is amazing at creating power- ful systems that work. Setting intentions and learning to have confidence in the birthing process—and your body—are among the most powerful tools you can use to go with the natural flow of labor and birth and gain some self-enlightenment in the process. 8. Obstetrics is big business. There is a whole system of medicine out there, called obstetrics, making a fortune off of your body! In fact, there is enormous financial incentive for obstetricians to do ultrasounds (in my community, a doctor’s office charges the insurance company $700 per ultrasound), offer endless tests, and perform cesareans rather than support natural, vaginal births. Want to avoid unnecessary medical interventions? Then make your body your business by getting educated. Read about birth. Some good places to start: Ina May Gaskin’s Ina May’s Guide to Childbirth, Henci Goer’s The Thinking Woman’s Guide to a Better Birth, and my book, The Natural Pregnancy Book. 9 Birth is something you do, not something that is done to you. Whether you dance, groan, or Hypnobirth your way through labor, it ain’t called labor for nothing. It takes work, focus, and sweat to get a baby out. Powerful muscles move a 6- to 8-pound being (on average) a short distance through a relatively small space. This means effort is required. Just as with any hard task, being realistic about what’s involved, setting your mind and heart to it by getting psyched ahead of time, and then having strate- gies to call upon when your energy or determination wavers will get you to the other side of the finish line with power and pride. 10 Birth can be ecstatic. While there might be some huffing and puffing, grunting and groaning, and even a holler or two if you need to vocalize the intense energy moving through you as you bring your baby out into the world, birth can be an ecstatic experience, particularly when you appreciate yourself for the accomplishment of a hard job done with determination and experience the ecstasy of holding your new baby in your arms. HARRISBURG, Pa. — BETSY came to Dr. Martin for a second — or rather, a sixth — opinion. Over a year, she had seen five other physicians for a “rapid heartbeat” and “feeling stressed.” After extensive testing, she had finally been referred for psychological counseling for an anxiety disorder. The careful history Dr. Martin took revealed that Betsy was taking an over-the-counter weight loss product that contained ephedrine. (I have changed their names for privacy’s sake.) When she stopped taking the remedy, her symptoms also stopped. Asked why she hadn’t mentioned this information before, she said she’d “never been asked.” Until then, her providers would sooner order tests than take the time to talk with her about the problem. Betsy’s case was fortunate; poor communication often has much worse consequences. A review of reports by the Joint Commission, a nonprofit that provides accreditation to health care organizations, found that communication failure (rather than a provider’s lack of technical skill) was at the root of over 70 percent of serious adverse health outcomes in hospitals. A doctor’s ability to explain, listen and empathize has a profound impact on a patient’s care. Yet, as one survey found, two out of every three patients are discharged from the hospital without even knowing their diagnosis. Another study discovered that in over 60 percent of cases, patients misunderstood directions after a visit to their doctor’s office. And on average, physicians wait just 18 seconds before interrupting patients’ narratives of their symptoms. Evidently, we have a long way to go. Three years ago, my colleagues and I started a program in Harrisburg designed to improve doctors’ communication with their patients. This large urban hospital system serves a city with a population of about 50,000, together with the surrounding metropolitan area of more than 550,000 people. The hospital faces particular challenges: The city has a high poverty rate (32 percent, compared with the state average of 13 percent), and the metro area has a high rate of childhood obesity. Over all, nearly a third of people around Harrisburg are uninsured, compared with about one in 10 for the rest of Pennsylvania. Our project started with a simple baseline assessment of how we as doctors communicated with our patients. Observation soon revealed that physicians introduced themselves on only about one in four occasions. And without an introduction, it’s no surprise that patients could correctly identify their physician only about a quarter of the time. We developed a physician-training program, which involved mock patient interviews and assessment from the actor role-playing the patient. Over 250 physicians were trained using this technique. We also arranged for a “physician coach” to sit in on real patient interviews and provide feedback. Over the next two years, patient satisfaction with doctors, as measured by a standard questionnaire, moved the hospital’s predicted score up in national rankings by a remarkable 40 percentile points. Several studies have found a correlation between higher patient satisfaction scores and better health outcomes. In one, published in The New England Journal of Medicine, Harvard health policy researchers reported that higher patient satisfaction was associated with improved outcomes for several diseases, including heart attacks, heart failure and pneumonia. The need to train and test physicians in “interpersonal and communication skills” was formally recognized only relatively recently, in 1999, when the American Board of Medical Specialties made them one of physicians’ key competencies. 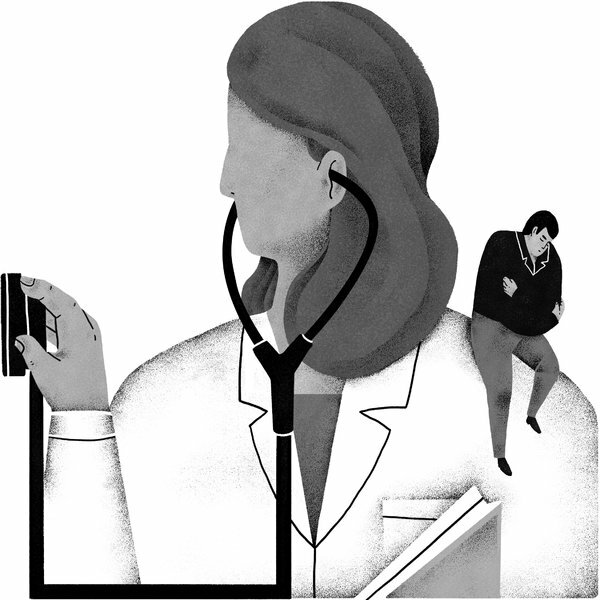 Although medical schools and residency programs then began to train and test students on these skills, once physicians have completed training, they are seldom evaluated on them. And doctors trained before the mid-1990s have rarely, if ever, been evaluated at all. I realize that many colleagues may see methods like ours as too intrusive on their clinical practice and may say that they don’t have the time. But we need to move away from the perception that social skills and better communication are a kind of optional extra for doctors. A good bedside manner is simply good medicine. A passionate diabetes specialist told me how she sat down with a patient to understand why he was not using his diabetes medications regularly, despite numerous hospital admissions for complications. Five years later, recalling this episode, her patient credits her with inspiring him to take better care of himself. The entire encounter took less than five minutes.